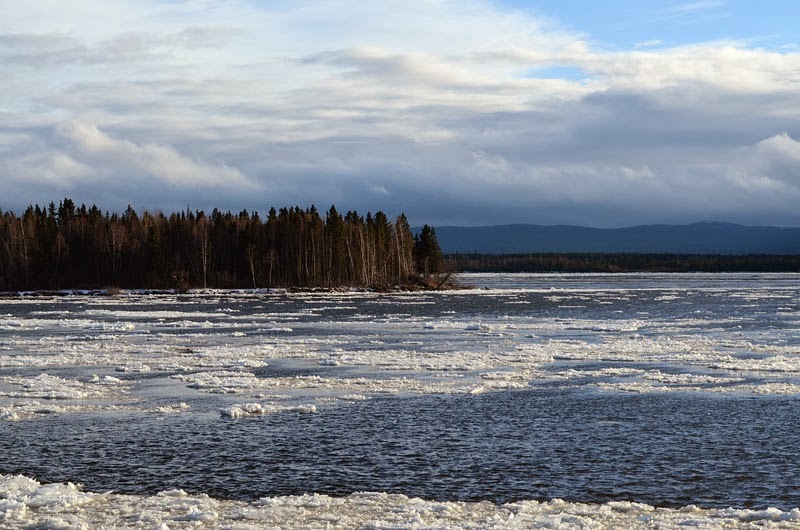 Unseasonably mild temperatures and strong winds have combined to weaken and loosen the just-formed river ice upstream in higher terrain. 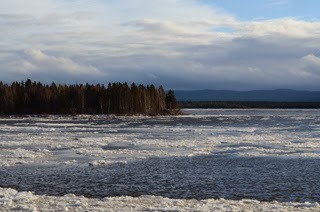 Masses of slushy frozen water and brittle sheets of thin ice have broken away from the shore and are being carried downstream, pulling more melting ice along with them as they float past. I really enjoyed seeing your gorgeous photos and will return often for a peek! Thanks for checking out my photographs, I am so glad that you liked seeing them. AEDM has been such a good challenge for me that I think I will continue to challenge myself through the month of December - so please come back again and see what's new. Meanwhile, I just took a quick look at your metallic colored lanterns, they look lovely and festive. Thanks!